I keep thinking about this year’s June. 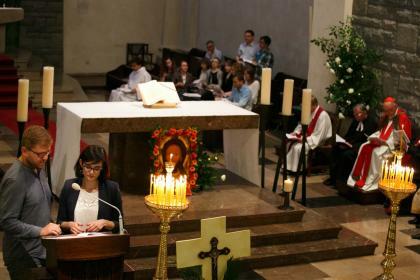 For the first time I took part in Ecumenical Liturgy of the Martyrs, organized by the Community of Sant’Egidio in the church of St. Martin in Warsaw’s old town. 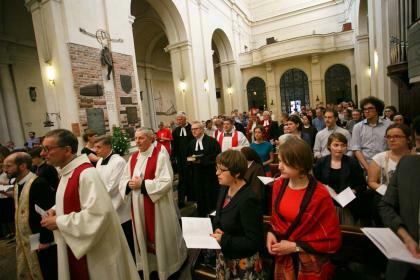 Members of seven Christian churches (Roman Catholic Church, Greek Catholic Church, Lutheran Church, Reformed Church, Polish Catholic Church, Mariavite Church and Evangelical Methodist Church) stood together around the altar. They gathered to pray for peace and to remember the contemporary martyrs from such countries like Syria, Nigeria or Pakistan. It was one of very few opportunities to hear their names in a different context than sensational news and make they don’t disappear from our memory as quickly as from the headlines. – We should follow the path, which is determined by the Sermon on the Mount, the Beatitudes’ way, for which our brothers are dying in different parts of the world – said Cardinal Kazimierz Nycz, Metropolitan of Warsaw, who led the prayer. In St. Martin’s church were reminded the names of twenty-first century Christian martyrs – Witnesses of the Gospel of the Beatitudes – who died in a result of persecutions or during serving the poor, the sick and the suffering. 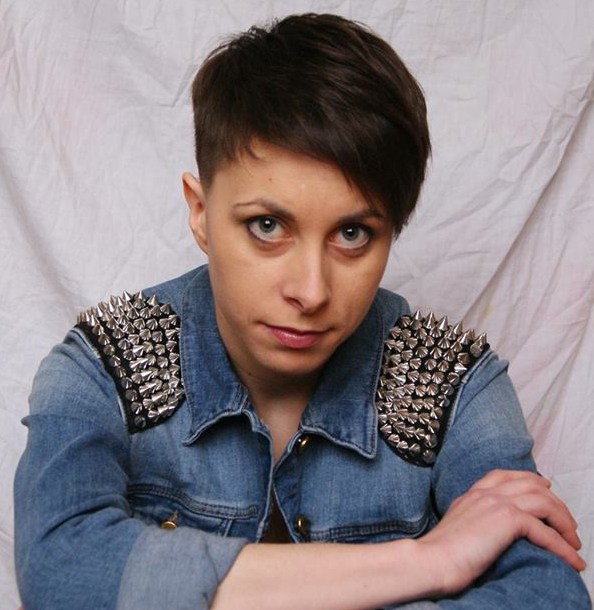 Victims of so-called Islamic state, Boko Haram, South American gangs or Asian fundamentalists. Many of them were murdered in the past 12 months. 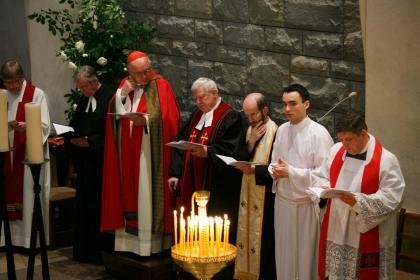 During the liturgy was also commemorated the victims of mass persecutions in the twentieth century – the massacre of Armenians, anti-religious regime in Mexico in the 20s, World War II and the communist era. After each passage of this “litany” of modern martyrs was lighted a candle. In prayer, divided into four parts, were honoured those who gave their lives for the Gospel in Asia, the Americas, Africa and Europe. From these parts of the world also came crosses carried in a procession with palm leaves symbolizing martyrdom. Each procession was accompanied by prayer so that the cross “was enlightened by the light of Resurrection”. Many people emphasized that this liturgy made us closer to suffering Christians and not allows us to be indifferent to what is happening all over the world. They admitted that martyrs ask us questions about our own belief. They said how moving was a fact of common prayer of Christians of different denominations and how touching was the moment when priests of various Churches had communicated the sign of peace. But for me the most important was that the liturgy was not sad and sorrowful. It wasn’t a desperate mourning the martyrs. But with this prayer flowed a force for us. Gushes no tears, but certainty that suffering is not able to overwhelm Christians. And in some ways it may be even “blessed”, because it unites us. During the preparations for the liturgy, we wondered how to invite the people of Warsaw on our prayer. We didn’t want to dazzle by using numbers and statistics, which – though shocking – do not speak as loud as human stories. So we thought about preparing a short film which could not only present figures of contemporary martyrs, but actually make them closer to us. The film which will show that they were people of flesh and blood. People like us, who had often the same passions as we have and dreaming the same dreams as we. But experiencing a much more difficult everyday life. So we have compared daily life of polish students’ with story of Janet Akynyi and other students’ from Garissa (murdered by militants from Al-Shabaab (Kenya)), daily life priest’s from Warsaw with life of father Murtada Ablahad (kidnapped and murdered in Iraq), the everyday of Polish children with a story of eleven-year old Abish (who was killed in bombing in Pakistan), Polish nun’s experiences and service of sister Pascaline Chantal (died in Liberia in a result of Ebola infection) and activity of young Sant’Egidio member from Warsaw with work of William Qijano (also from Sant’Egidio, murdered by a gang in Salvador). So similar. So different. 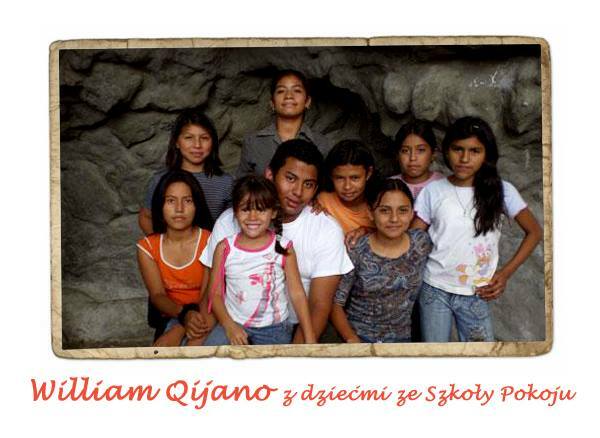 At the end of this extraordinary June took place convegno of the Warsaw’s Community of Sant’Egidio. For two days we talked a lot not only about our city but also about the refugees all around the world. We discussed how not to close in the circle of local problems? How to expand the boundaries of our city? How to expand the boundaries of our hearts? Next Post No more walls – we need houses!